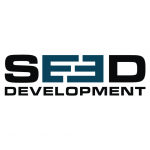 Seed Development, founded in 2014, is an east coast based software consultancy with offices in New York City and Allentown, PA. We are a Google Cloud Partner, and over 90% of our technical staff holds a Google Certified Professional credential. Our company was formed around the idea that software should be built by people invested in its success. We are 1 of 10 companies globally that holds a Google Specialization Certification in Application Development, so we leverage our expertise in AppDev and Machine Learning/ A.I. to work with our clients to bring the best solutions to light and deliver meaningful results to businesses of all sizes and in every vertical. We have successfully delivered software on just about every platform out there: native and cross-platform mobile solutions on iOS and Android; Google Cloud and Azure cloud-based backends and web applications; machine learning solutions that change how businesses view their own competitive advantages.